For over 12 years Phil has worked in a number of Business Schools teaching Operations, Leadership & Change and Personal Development. He has written extensively, worked in Corporate Education and coached senior managers. Phil’s early career involved working in business development, sales and marketing before moving into operations management where he developed and implemented major change programmes achieving Investors in People and membership of the British Quality Foundation. This led to consultancy work with KPMG on major strategic change programmes working closely with Boards and senior managers. He worked in the Eastern Bloc as a change consultant working with Ministers and senior managers and then moved into training and consultancy and was responsible for implementing a £1.25 million management development programme. “the organisation already had a very well developed appraisal systyem and a competency framework. We were also an Investor in People. Appraisal was traditionally undertaken by your line manager. 360 appraisal provided an additional dimension to the appraisal process by adding feedback from my line manager to that from my peers and those in my team. I also had the opportunity to rate myself and compare how I saw myself against the views of a wide variety of others”. Moving into a Management Development role Phil was trained as a 360 degree facilitator to administer the process and provide feedback and coaching to middle and senior managers. For over 12 years Phil has worked as an independent consultant and has gained considerable experience as an academic as a Visiting Executive Fellow at the world-class Henley Business School teaching on the Business School’s prestigious MBA programmes and supporting and coaching managers from a wide variety of organisations. 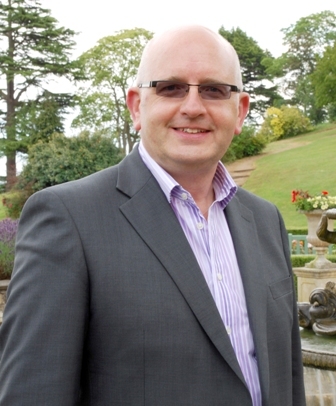 He was a member of a small team that developed and created the Business School’s Personal Development Module, consistently rated as “No.1 in the World for Personal Development”. He is also a Visiting Lecturer at Birmingham Business School and the Singapore Institute of Management. Phil has a Certificate in Coaching (Henley Business School) and is qualified to use MBTI, FIRO-B and 360 degree feedback. He is a Certified NLP Practitioner, Certified NLP Master Practitioner and Certified NLP Coach Practitioner. He has an MBA from Henley and a Certificate in eLearning, Teaching and Tutoring online (CeLTT) from the University of Greenwich. His Doctoral research in on Personal Development and he is a contributor to a new text “Leadership and Personal Development: A Toolbox for the 21st Century Professional” published by Information Age Publishing and available now from Amazon.